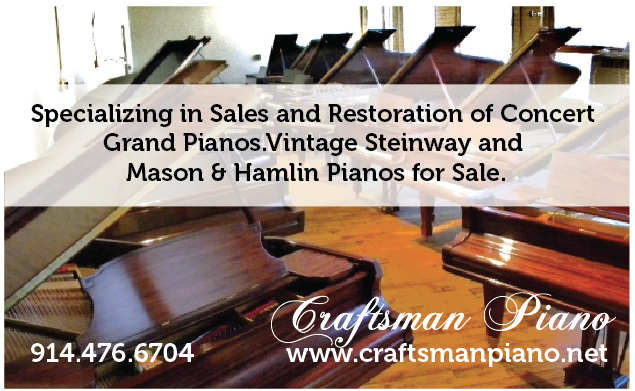 The Most important reason to buy a piano from Craftsman Piano Co. is that we produce Concert Quality restorations of Steinway and Mason and Hamlin Pianos. The prices of our restored pianos are a fraction of the cost of new Steinway and Mason Pianos, while our quality control is superior to the new pianos produced in factories. There are perhaps two or three piano restoration shops in this area capable of concert quality restorations. Their prices are much higher. Please see the comparison shopping chart. We have a wide variety of pianos for sale. From Steinway and Mason concert grands to Yamaha studio uprights to Kawai consoles we have a wide variety of pianos all prepared to perfection at very competitive prices. We are capable of any piano related service. At our Yonkers warehouse we perform full restorations on pianos. 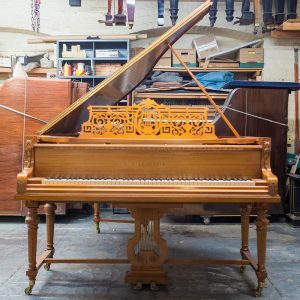 We use a wide variety of the best piano parts, and are capable of specialty refinishing as well as installing sound boards, pin blocks, new actions, ivories, plastic key tops, custom re veneering if and when necessary. We have restored pianos with fire and smoke damage, as well as water damage. We have even restored a piano that had been severely damaged by termites. At Craftsman Piano there is never any pressure to buy. We answer questions about the pianos, and are pleased to demonstrate them if necessary. Other than that you are free to audition the pianos on your own. We have two locations. Our warehouse at 578 Nepperhan Ave. Yonkers, NY where we restore the pianos can be visited by appointment. There you can see firsthand the pianos being transformed step by step into the concert quality instruments that they become. The other location is our showroom in Eastchester, NY. It is there that we have most of our restored pianos displayed. Please contact us to set up an appointment. Craftsman Piano is moving from the Eastchester Showroom location at the end of 2017. Come visit us in Eastchester today for prices that can’t be beat.